It is with great pleasure that we write this testimonial for Janice and Don Bosson. We began our search for a Tahoe vacation home with some very specific ideas in mind, as we were very familiar with the area. It is difficult to adequately describe how incredibly wonderful these two are both as people and as agents. They are completely knowledgeable about the Tahoe area, have the real ability to quickly ascertain what it is you’re looking for and are incredibly patient. Their attention to detail, responsiveness, professionalism and focus on customer service are without question of the highest order. We say this having bought 3 other homes (all primary residences) and never have we had the opportunity to work with such great people. One example of going the “extra mile” revolves around the closing process. We had a very tight time frame to sign papers and close as we were traveling out of state. In order to meet this deadline, Janice drove down from Tahoe to Sacramento to hand deliver the documents to us to sign with the local escrow office, then drove back down a few days later to take those documents back up to Tahoe for final funding and closing. We essentially depended on Janice, instead of the US Mail, to ensure we closed and could get our keys prior to the date we needed to travel out of state. It was amazing. 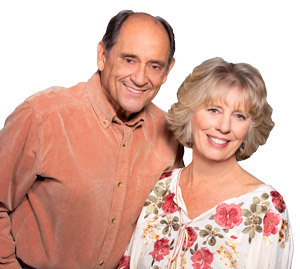 We highly recommend Janice and Don Bosson to anyone purchasing property in the Lake Tahoe area – they are the best! "Don and Jan were unbelievably great to work with, in fact; we developed such an awesome relationship with them that we now feel totally comfortable calling... continued"